Not sure of which degree to pursue in Singapore? Episode 2 of our series will guide you through the top 5 most popular majors in Singapore institutions! Minister for Communications and Information Singapore - Yaacob Ibrahim anticipated that to build the “Smart Nation” projects, there will be approximately 30,000 tech-engineering jobs by 2020. 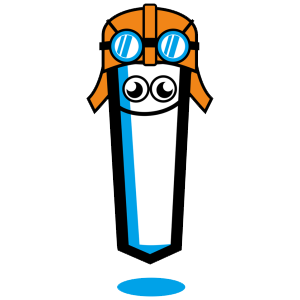 Result from ValuePenguin, a consumer research firm, also revealed that Bachelor of Engineering was ranked 3rd among the majors with highest returns on investment. Not surprisingly, Engineering has become the top popular choice among students in Singapore. While Singapore is renowned for its public universities, pursuing a degree in private universities has its own benefits. In most cases, you can complete your bachelor’s degree within 2 years (compared to 3-4 years of studies in public universities) and obtain a degree certificate awarded by notable universities in the UK, USA or Australia. 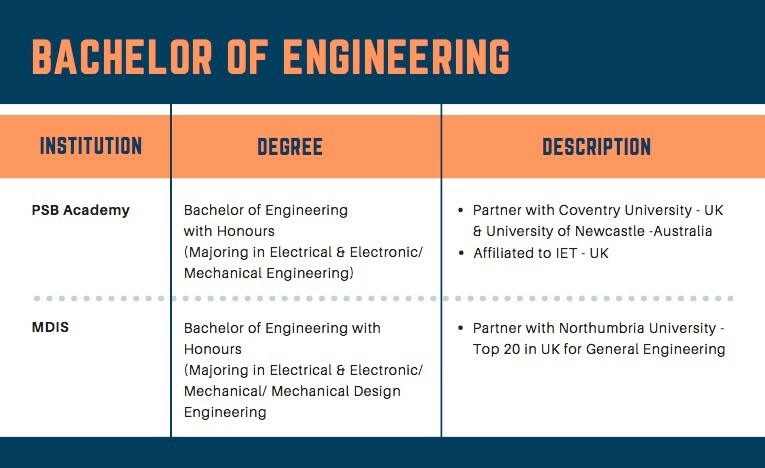 Some degrees also come with additional certifications by professional bodies such as the Institution of Engineering and Technology (IET). 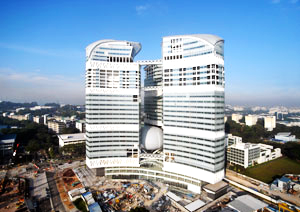 An Engineering degree in Singapore offers students a huge range of specializations to explore such as Computer Engineering, Electrical Engineering, Mechanical Engineering, Biomedical Engineering and Industrial Engineering. Furthermore, you may also get to work in your dream company after graduation as the likes of Microsoft, Google, IBM, Apple, Schneider Electric, Bosch and more have all set up their regional headquarters in Singapore! 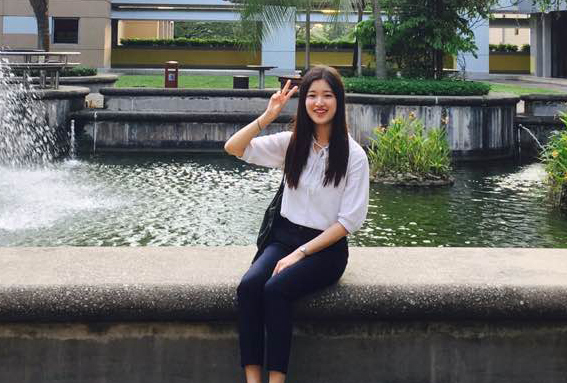 If you are interested in understanding and analysing social phenomena and human behaviours, studying Humanities and Social Sciences in Singapore is a great choice. With almost 12,500 enrolments for the academic year 2017/2018, its popularity has been steadily rising and currently ranks just behind Engineering. 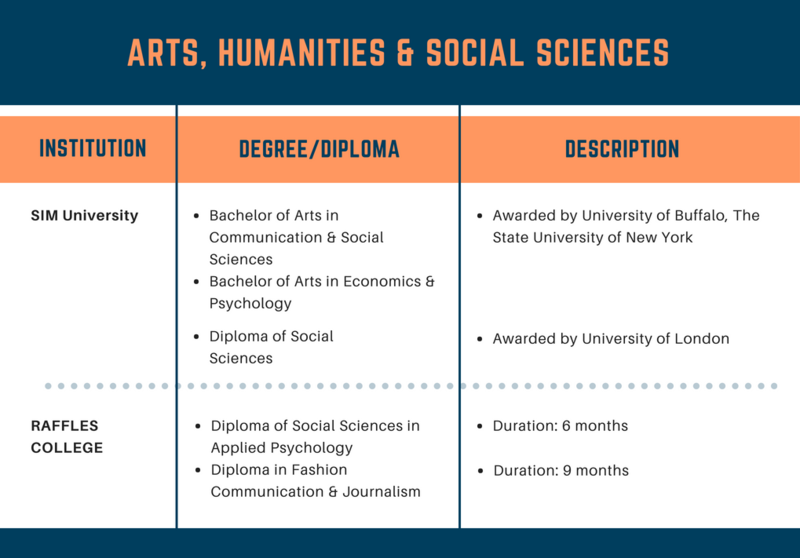 Humanities disciplines can include English Literature, Linguistics, Performing Arts while Social Sciences feature majors such as Psychology, Economics, Journalism and Communication Studies. When taking a degree in Humanities & Social Sciences, you can expect to have some certain workloads including reading, essay writing and conducting primary research. 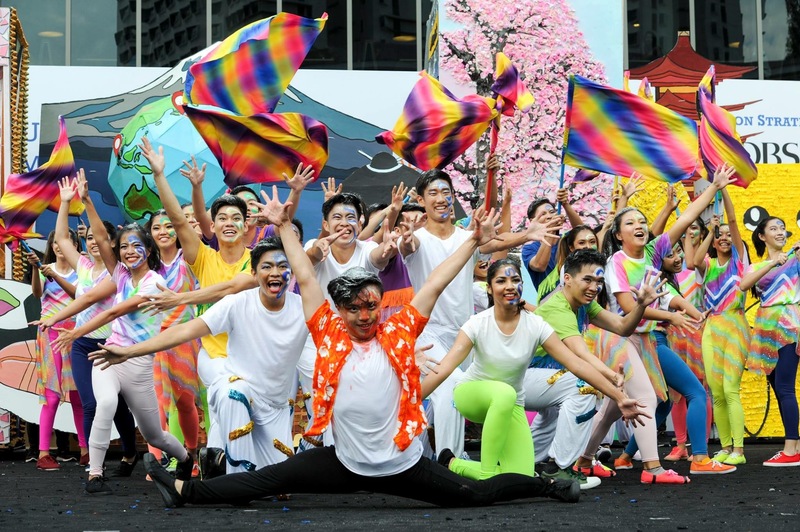 It is also reported that every year the overall employment rate of graduates majoring in Arts, Humanities & Social Sciences within 6 months has risen gradually, with starting salaries from S$2,500 to S$3,200. Humanities and Social Sciences has also been an area of focus for the Singapore government as the country matures as a nation and seeks to cope with issues like ageing and social mobility. As such, studying this field also has its potential in Singapore. If you are someone who enjoys working with numbers, likes logical reasoning or understanding natural processes, then Natural and Mathematical Sciences will be the perfect choice for you. Majoring in Natural Sciences will include specializations in chemical, physical and environmental sciences, while Mathematical Sciences offer specializations such as pure mathematics, applied and computational mathematics as well as statistics. Singapore is well-known for being the hub for scientific research and development in Asia and more recently, for Artificial Intelligence (AI) as well. The Singapore government takes lead with its active investments in institutions such as the Agency for Science, Technology and Research (A*STAR) which has built partnerships with numerous R&D centres in countries around the world such as Japan, Switzerland and Sweden. Many global tech firms have also built their own research centres or even based their regional operations here. Some examples are HP opening its new data-driven research campus for advanced manufacturing in 2017 and Darktrace, which creates AI cyber-security technology to detect threats, establishing its regional headquarters in 2015. Hence, international students who study this major is likely to have bright career prospects for the near future. As of 2018, Singapore has been ranked among the top 3 economies in World Bank’s Ease of Doing Business rankings for the past 12 consecutive years! Countless multinational companies, including Apple, Unilever, Google and Microsoft, have all flocked to establish their regional headquarters in Singapore. 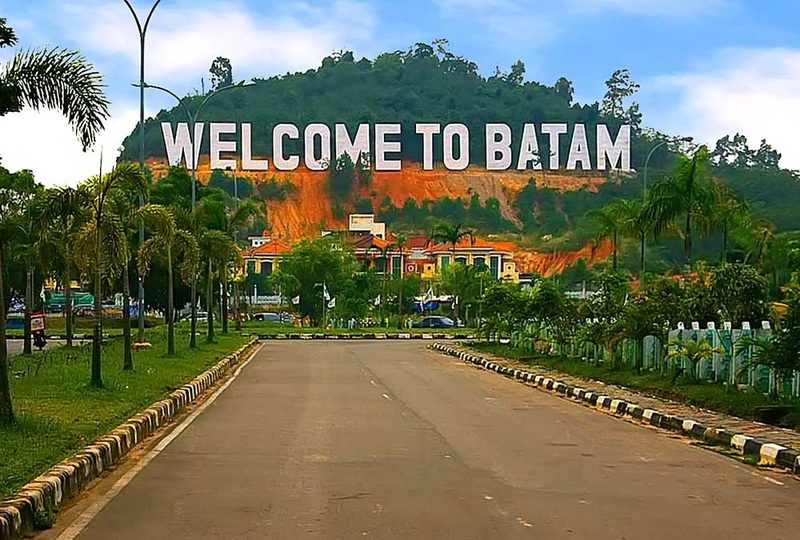 The country has also risen to become one of the top entrepreneurship hubs in the world with its open and friendly business environment. And all of these have contributed to the popularity of studying Business Administration in Singapore amongst international students. 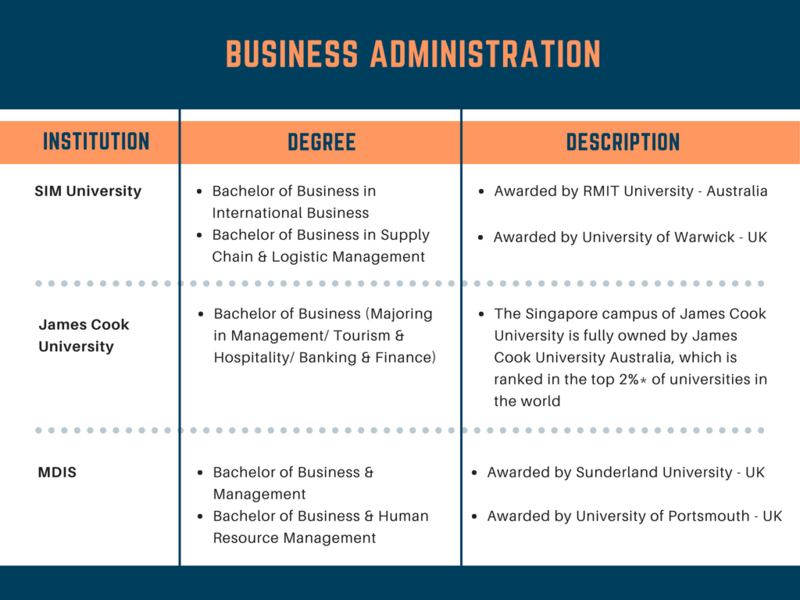 Studying Business Administration in Singapore allows you to gain both in-depth theory and hands-on experiences in a wide range of areas including Business Analytics, Finance, Management, Marketing, Innovation and Entrepreneurship. Business competitions and case-study challenges are aplenty for students to gain experience. 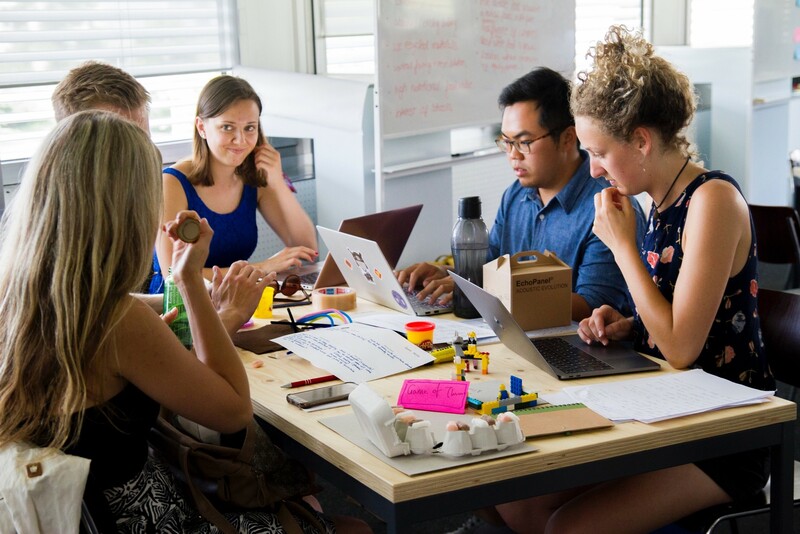 Most companies in Singapore also have internship positions available that allows students like you to gain exposure to the real business environment. Hence, whether you would like to start your own business or work for top global companies, studying Business in Singapore will bring you one step closer to your career dream! The last major in our top 5 list is Accountancy. The 2017 Kelly Services and Capita Salary Guide shared that Accounting is among the highest-paying industries in Singapore. The growth in job demand for Accounting sector is mostly in entry to middle level roles with over 1,400 placements per year, according to the Adecco Singapore Salary Guide 2017/2018. 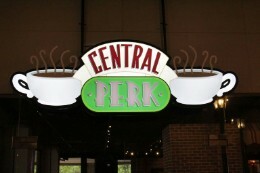 Of note, the Big 4 Accounting firms all have their regional headquarters in Singapore! 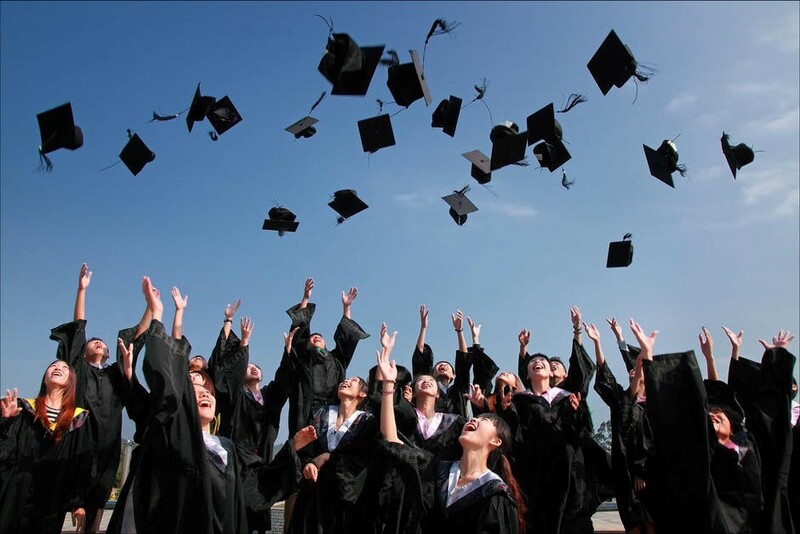 Hence, accountancy graduates in Singapore have a good chance of securing a job after graduation, with salary starting from S$2,800 to $3,800. 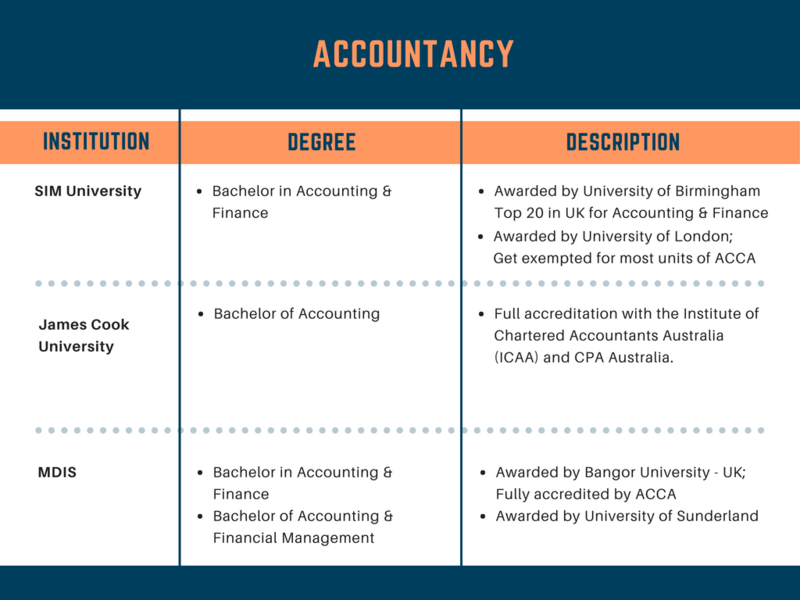 Many institutions in Singapore offer degrees accredited by the Association of Chartered Certified Accountants (ACCA) - a top globally recognised certification for accounting and finance professionals. Although we have listed out the top 5 most popular majors for your consideration, remember to only study something which are you truly interested about or passionate in! Blindly following the crowd without any interest or passion will get you to nowhere. If you need advice on which universities are suitable for you, which majors to take, and potential job prospects in Singapore, simply sign up below for a free consultation with Flying Chalks! 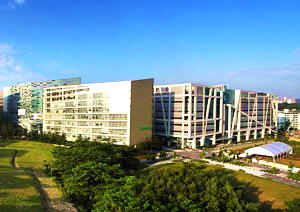 Alternatively, you can visit our Study Abroad in Singapore page to find out more. As the official representative of many universities in Singapore, Flying Chalks can also help you apply to your desired universities, assist in your VISA application, find a suitable accommodation, all free of charge! Don't forget to follow our series for Episode 3 about career prospects in Singapore!